Lakeside is testing the spotlights and preparing the catwalk for another show-stopping set of free Spring/Summer fashion shows. From 17th to 19th May, there will be seven sensational catwalk shows each day featuring new men’s, women’s and children’s fashion. With brands including Superdry, Jack & Jones and Monsoon all ready to take to the stage, there’ll be something to suit everyone’s style and budget. This year there’s something extra special happening, too, as Lakeside reveals top tips for the season with free fashion workshops from the models and stylists on Sunday 20th May. More information about Lakeside’s Spring/Summer Fashion Shows and style workshops can be found online at www.lakeside.uk.com. 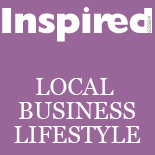 This entry was posted on May 10, 2012 by inspiredessex in Chatty, Essex Events, Ladies Fashion, Ladies Time Out and tagged essex fashion, inspired magazine, lakeside fashion.